Callum O'Hare scored a hat-trick as Aston Villa began their Premier League Cup defence with an 8-0 win over Bristol City. Jordan Cox put the holders ahead before a fine individual effort from Corey Blackett-Taylor doubled their lead. O'Hare (pictured) netted twice to make it 4-0 before the break and then got his third in the 65th minute. 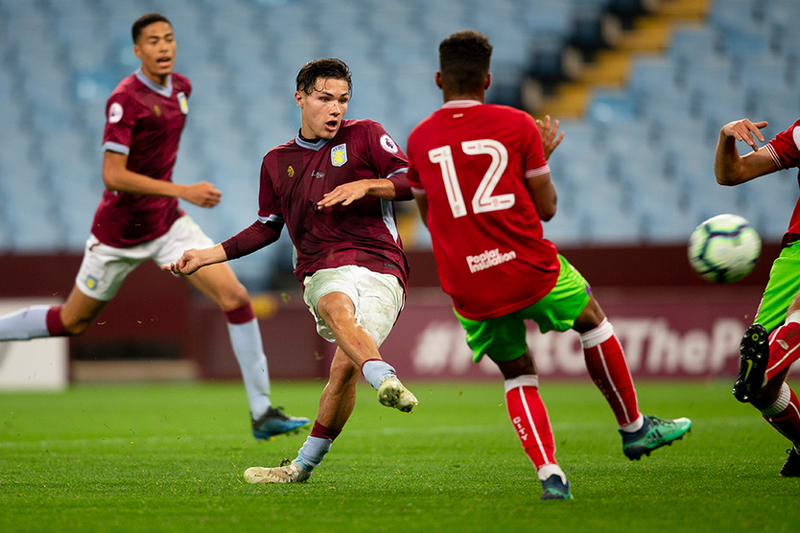 In the final 10 minutes, a double from Harvey Knibbs and Dimitri Sea's first goal at Under-23 level completed the scoring at Villa Park. Villa top Group F after Plymouth Argyle and Derby County drew 0-0 in their opening match on Thursday. Leicester City began their maiden PL Cup campaign with a 3-0 win over Norwich City in Group D.
Raul Uche Rubio headed Leicester into the lead before Tyrese Shade doubled the hosts' advantage. A late Cairen Jones own goal sealed Leicester's victory. Group D opponents Nottingham Forest and Exeter City play on Sunday. A Callum Slattery penalty helped Southampton start with a 2-1 win over Leeds United. Saints went ahead when Michael Obafemi scored after 31 minutes, before Kun Mihaylov levelled for the visitors just after the hour mark. Slattery clinched victory at Staplewood on 77 minutes, after Obafemi was fouled. It leaves Saints level with Newcastle United, who beat Notts County 2-1, at the top of Group H.
Professional Development League side Sheffield United earned a 3-1 win over Premier League 2 opponents Blackburn Rovers in their Group B opener. Jordan Hallam, Oliver Greaves and Simeon Oure put the home side 3-0 up, before substitute Jalil Saadi netted Rovers' late consolation. Substitute Kyle John inspired a 3-0 win for Everton over Doncaster Rovers, as they overcame a first-half red card to top Group B.
Matthew Foulds was sent off on 40 minutes before John put the home side ahead at Southport. Nathan Broadhead and Nathangelo Markelo scored late on. Benny Ashley-Seal netted a second-half winner as Wolverhampton Wanderers came from behind to beat Hull City 2-1 and go top of Group E.
Keane Lewis-Potter volleyed Hull in front before Elliot Watt levelled with a superb free-kick and Ashley-Seal struck. Goals from Ben House, Josh Barrett and Tyler Frost gave Reading a 3-1 Group G victory over Colchester United, who netted a consolation through Noah Chilvers.